I am a newborn & family photographer based out of Napa, CA, but I serve all of the Bay Area. I have been doing photography full time now since 2012 and absolutely love it. 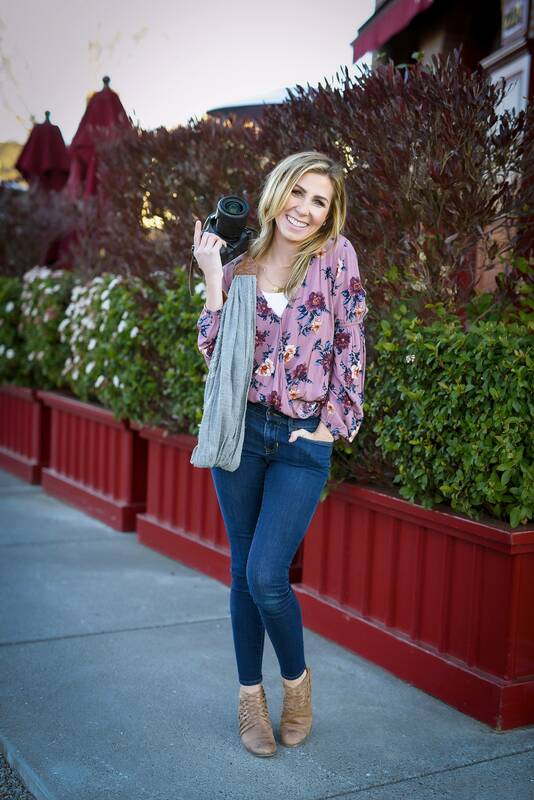 I took my first photography class back in high school at Justin Siena, but eventually went to college to study Psychology. I took one more photography class in college, but really thought it would just be a hobby of mine, not a career. After doing AmeriCorps following my college graduation, and struggling to find a career I was passionate about, I started a website called NorCal Country for fun, which then turned into something bigger and I found myself taking pictures at country concerts across Northern California at some of the biggest venues around with my press pass. Yeah, you could say that was a blast! Because it was… And before I knew it, people were asking me to shoot their weddings and family portraits. When I moved back to Napa from Sacramento (where I was born and raised), I decided to give my photography career a chance; and thankfully, it all just sort of fell into place. Since then, I have attended newborn photography workshops with Kelley Ryden in Omaha, Nebraska, and then also online with Rachel Vanoven, Erin Tole, and numerous other pros in the industry who have been doing this longer than me. Since then, I have specialized in family & newborn photography and now have a studio on Clay Street in Napa that I share with my friend Whitney who runs the only 4D Ultrasound in town, which has been the perfect fit. And on a personal note! I am auntie to 10 beautiful nieces and nephews! They’re pretty much what started my love for children’s portraits as I got to capture their growth over the years. I am the last of seven in my family, so you could say pictures weren’t a priority for my parents who had bills to pay for seven of us. I get how professional photography can be a luxury… and have tried my best to give affordable options to families like the one I grew up in. But having my Dad and brother pass away, I now know the real value of pictures and how much they mean to me after losing loved ones and those pictures being all I have left of them. They’re the first things we grab if there’s a fire as much of us Napa people have learned the last year…. and so not only do I wish to preserve your memories for you, I hope to give you pieces of art as well that you will proudly hang in your homes on display. With my years of experience, professional cameras and equipment, I aim to give you the best quality possible for you all to enjoy for years to come and help you tell the story of your lives for following generations to also be able to cherish and feel as if they knew you. We don’t always appreciate photographs in the moment… and it’s not until years later that we understand the real value of being able to relive memories and be glad that we took them. But anyway! Thank you so much for your interest… and I look forward to hearing from you!